It’s a hot Jozi day and the rescheduled date for my Skype conversation with Blinky Bill. The reason I was unable to chat with him days before was because my neighbourhood had experienced power cuts. When I finally see his face on my screen – his hair has become these long dreads since I last saw him in person – the musician tells me he also didn’t have electricity that week. But even so, we find a way to connect Johannesburg and Nairobi. As the most popular face of Kenya’s alternative group, Just A Band, the man who was born Bill Sellanga has continued to push the envelope. The producer, vocalist and DJ went solo and put out his 2016 EP, We Cut Keys While You Wait, which was accompanied by afrofuturistic visuals. But, it’s his upcoming pun-laden debut album, Everyone’s Just Winging It and Other Fly Tales, that’s got most people excited. “I’m working on my new album, so it’s only fair that I do a couple of new songs off it at Little Gig,” he tells me about performing at the 24-hour festival that takes place in Cape Town next weekend. He’ll also be in the Mother City for a few shows, and I ask him if he’s worried about the road to Day Zero. With their debut album Scratch To Reveal, Just A Band became the poster child of black, alternative East African music. The trio put out their second album, 82, which spawned the viral video for Ha-He and allowed Kenyan popular culture to flourish with the return, through their music, of a character called Makmende. One would argue that Blinky Bill and his friends still have more success in them. The project he talks about is his debut album, Everyone’s Just Winging It and Other Fly Tales. He looks genuinely excited to tell me about it and pushes his signature thick-framed glasses up the bridge of his nose as he gets ready to tell me more. The lead single from the album is CC God, and the single artwork is of his grandmother. His videos have also featured stylishly dressed octogenarians and sci-fi elders (on No Touch Am featuring Nneka), and Blinky Bill tells me he’s fascinated by old people in general. “Maybe because they have so many stories to tell and sometimes we don’t get to tap into them because we’re caught up in our own lives,” he says. Another song that will make it to this debut album is an as-yet-untitled song which features Nneka and our own Petite Noir. It’s a lush ditty that starts with jubilant keys and sees Blinky Bill sample and chop up traditional Kenyan chants to support the “All for One” refrain. As the song plays, I watch Blinky Bill listen intently and wonder if he’s picking out flaws before he puts the song out. “The frequencies might be a bit muddy but you get the idea,” he bashfully says once the song has ended. 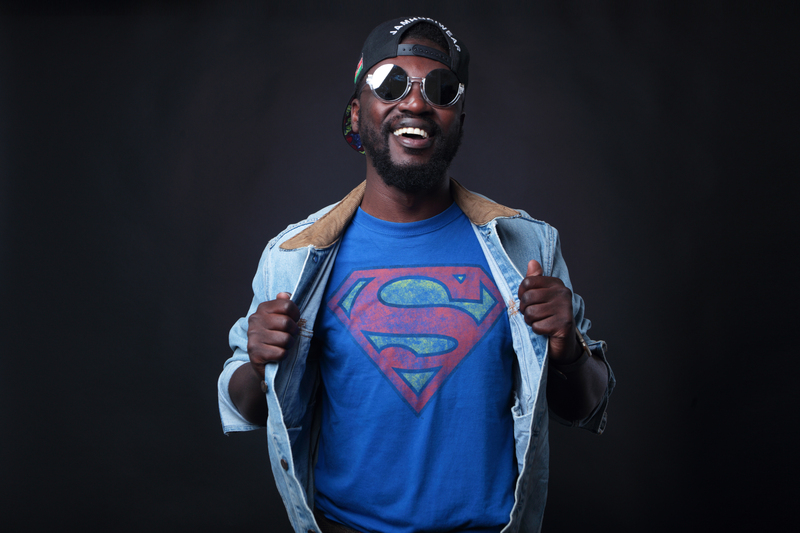 Although his band had meant to take a two year hiatus since 2015, it seems Blinky Bill is still merrily finding his sound. “There’s a lot of Just A Band content, now I just want to tell my story,” he says.